The dairy industry has made tremendous strides in improving the average milk production per cow during the last 20 years, mainly through improvement of the genetic pool through artificial insemination. It is not uncommon to have herds that average 80 to 90 pounds of milk per day, or even higher. However, genetic progress in feed efficiency has not progressed at the same rate as milk production. So how does the high producing dairy cow compensate for the amount of energy required to maintain this high level of production, especially early in lactation? It is a well-known fact that all cows go through a period of negative energy balance after calving, when the lactating animal cannot physically consume enough dry matter to meet their body maintenance requirements and the increased nutrient demands of the mammary gland. As a result, the cow must mobilize body fat and protein to meet these requirements, and maintain the high level of milk production that she is genetically capable of. This period of negative energy balance lasts approximately five weeks after calving. Therefore, high producing dairy cows must mobilize larger amounts of fat and protein compared to the average producing animal. Higher producing cows have been shown to consume more dry matter per day, and also partition a higher percentage of their nutrient intake to the mammary gland to support milk production. They also mobilize larger amounts of body fat and protein. However, this still does not provide enough nutrients to satisfy the increased nutrient requirements to support the higher level of milk production, and high producing animals experience a greater negative energy balance than do average producing animals. Iowa State University conducted a 20-year genetic selection project that used either breed average or breed high sires chosen only for Predicted Differences in milk production. The average milk production for the group bred to breed high sires was 10,814 kg (23,791 lbs.) and for those bred to breed average sires was 6,912 kg (15,206 lbs.). These production levels may seem low compared to current levels of production, but this study was completed in 1990. However, there was some very interesting and useful information obtained in this study that directly applies to the issues we face daily with ketosis and metabolic disease on today’s high producing dairies. The average feed intake as a percentage of bodyweight was the same between both groups for the first two weeks post-calving. This would obviously result in a greater negative energy balance for the high producing group. The NEFA’s (non-esterified fatty acids) were higher for the high producing group and peaked during the first week of lactation. Likewise, the BHBA (beta hydroxy butyric acid) levels were higher for the high producing group and peaked during the second week of lactation. One of the more common testing protocols for monitoring ketosis in dairy herds is to test all cows that are between three and 10 days in milk, twice during that time period. The dairy would print out a list of animals in this category and then test twice a week, for example on Mondays and Thursdays. The common cutoff point for subclinical ketosis is 1.2 mmol/liter of BHBA in the blood. Animals above this number are considered sub-clinically ketotic and are usually treated. 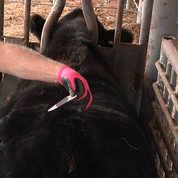 There have been numerous testing protocols established, and most have proven to be quite effective in identifying those animals with subclinical ketosis, as well as determining the overall incidence of ketosis within a specific herd. In general, BHBA is considered by most to be a molecule that is essentially totally worthless to the dairy cow, and is only present in the bloodstream, urine, and milk, in higher than normal levels when there is an excessive amount of fat mobilized due to negative energy balance. Levels above 1.2 mmol/liter are considered to be abnormal and the general recommendation is to treat animals that fall into this category with intravenous dextrose and/or oral glucose precursors. BHBA is produced in the liver as a result of incomplete fat oxidation. Body stores of fat and protein are mobilized at the same time when the cow is experiencing a period of negative energy balance. Even though BHBA is produced above normal levels when higher amounts of fat is mobilized, it can also be an energy source to the dairy cow. The only two areas where BHBA cannot be utilized as an energy source is the liver and red blood cells. During times of low nutrient intake, the brain can use BHBA to provide up to 60% of its energy requirement. The brain cannot use fat as an energy source and therefore has to depend mainly on glucose and BHBA to satisfy this requirement for energy. BHBA can also be utilized in muscle tissue as well as an energy source and helps to maintain muscle mass as long as there is an adequate protein level in the ration. One molecule of glucose will result in the production of 248 Kcal of energy. One molecule of BHBA will result in the production of 279 Kcal of energy. Another benefit of BHBA metabolism into energy is that it does not result in the production of Reactive Oxygen Species (ROS). This process actually results in the scavenging of ROS, or in other words, functions as an antioxidant. It is impossible for a high producing dairy cow to eat enough dry matter post-calving to meet the requirements for the mammary gland to produce these high volumes of milk. The cow has no choice but to mobilize fat and protein to try and meet this requirement. The higher amounts of BHBA that are produced during the conversion of NEFA to energy are the underlying cause of ketosis. However, the BHBA is also used as an energy source and thus has some positive attributes as well. In general, the highest producing cows in any given herd will have higher levels of both NEFA and BHBA post-calving. Does this mean that the nutritional management of this herd is poor? If these cows have the genetic ability to produce more milk and are doing so, are these animals that are producing high levels of milk early in lactation and are above 1.2 mmol/liter suffering from subclinical ketosis to a point where they should all be treated? As previously mentioned, there are numerous dairy herds that have extremely high milk production, and yet their cows appear to be clinically normal, are eating well, and do not appear to be suffering from any negative effects of elevated BHBA. When a ketosis monitoring program is in place, it is important to clinically evaluate these animals that are above the 1.2 mmol/liter cutoff point. Is their head buried in the feed bunk and eating everything they can? Is their udder full of milk? Do they appear well hydrated, healthy, and not suffering from low energy levels? Are they producing a high level of milk for being early in lactation? I would propose that having a specific cutoff point for all dairy cows is not feasible, and that physically evaluating these animals should also be part of the ketosis monitoring program to determine if they should actually be treated or not. It is important that we do everything we can to provide the maximum amount of energy to these fresh cows to try and minimize the amount of fat and protein that has to be mobilized. There are multiple energy supplements, bypass fat, and glucose precursors that can be added to the fresh cow ration to help meet these elevated requirements for high producing cows. Bypass choline can also be used to help move fat out of the liver and allow it to be utilized in the mammary gland as an energy source and/or increase the fat content of milk. 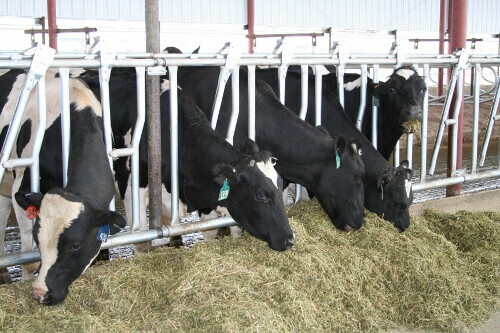 Obviously, good feed bunk management, not over-populating the fresh cow pen, high quality forages, well-balanced diets, and excellent palatability of the ration are all important in maximizing nutrient intake and reducing the amount of fat that has to be mobilized by the fresh cow. 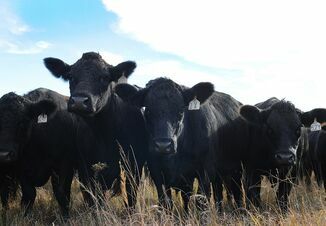 However, we also have to realize that high producing cows will have to mobilize more fat and protein, and as a result their BHBA levels will also be elevated. This does not mean that all of these animals must be treated just because their BHBA level is above 1.2 mmol/liter. 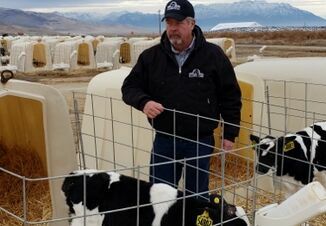 Careful observation of these animals should be part of the ketosis monitoring program to avoid the unnecessary expense and treatment of high producing animals that are perfectly healthy.